Across the world, governments are coming to realise the value that investment in physical infrastructure – roads, bridges, interchanges – brings broader economic growth, development and job creation. Just last September, German chancellor Angela Merkel announced major investments in an already sophisticated road network, to extend the country’s current economic upswing. Early last month, Japanese Prime Minister, Shinzo Abe, signed extensive agreements with neighbouring countries in South East Asia to expand infrastructure – especially in rural and underdeveloped areas where people are cut off from economic opportunities because of lack of access. Donald Trump, who can hardly be described as a socialist, made a $1.5trn plan to "rebuild crumbling infrastructure". This is one of the cornerstones of his term of office – perhaps his only policy position that enjoys bipartisan support across the political spectrum. However, when South African President Cyril Ramaphosa announces a multi-billion-rand investment in infrastructure – including R2bn on roads – as the core of a broader stimulus package – there are fringe critics who immediately label it as 'socialist'. The main argument that is dredged up against the plan is that China has also embarked on massive infrastructure investments. So, if China does it, it is, per definition, wrong for those critics who position themselves on the outer edges of the free market system. The fact that one of the world’s leading forecasting institutions, Oxford Economics, calls for a $94trn investment in infrastructure by 2040 – mostly roads and power – "to keep pace with profound economic and demographic changes", is blithely ignored. President Ramaphosa’s commitment to an economic stimulus package driven by infrastructure investment is, thus, not coming from left field. And his announcement of a R400bn infrastructure fund to kick-start economic growth was welcomed by a wide range of business leaders, economists and respected commentators. Among the immediate – and most visible – results of this new approach to infrastructure should be the completion of major road construction projects that are currently underway, continuing emphasis on rehabilitation and maintenance to prevent the decay of existing roads and bridges and, perhaps, new roads to add to the existing primary road network of 22 000km. Already, SANRAL has "shovel-ready projects" with a value of more than R2bn on national and provincial roads in all nine provinces. Most of these projects have already started and some will reach completion within the next 12 months. They link producers to markets. They connect workers to jobs; traders to clients; students to schools and communities to basic social and economic services – from banking and retail to hospitals and pension pay points. No modern economy can grow and thrive without a well-designed and well-maintained primary road network. And it is especially true in a developing country like South Africa, where the lack of access to transport infrastructure in the past contributed to skewed economic growth and the deliberate marginalisation of rural areas with a predominantly black population. This is why SANRAL’s flagship project to upgrade the N2 Wild Coast road from East London to Port Edward is such a pivotal initiative to unlock economic opportunities in some of the most impoverished districts in the country. The Eastern Cape is a prime example of how apartheid spatial planning negatively impacted on rural communities and how the lack of quality roads prevented communities to participate in mainstream economic activities in the fields of trade, tourism and agriculture. From a social perspective, the absence of quality roads also left its scars on communities. Examples abound of how people had to traverse difficult terrain at great cost and time to visit a neighbouring village, access retail shops or receive treatment at a clinic. These archaic patterns of development cannot continue 25 years after the democratic transition. The Wild Coast Road Project will make a major contribution to redress these wrongs and become a catalyst for sustained development. For the people of Pondoland it offers cheaper and safer transport and enhanced access to healthcare, education, shops, services and jobs. For the Eastern Cape, it will unlock opportunities in the fields of eco-tourism, agri-processing and trading through improved access to the broader transport network. The overwhelming support for the project among the small business sector, recognised traditional leaders and members of the community – 99% according to a recent HSRC survey – indicates that the people of the province want to participate in the mainstream of the country’s economic activity. Towns such as Port St Johns, Lusikisiki, Flagstaff and Bizana can then reach their full potential as centres for local economic development, trade and tourism destinations. Within the wider regional context, the N2 Wild Coast project will also have a catalytic impact. The new route will save three hours of travel time between Durban and East London, improve logistical linkages and facilitate the easier movement of services, goods and products especially in the manufacturing and agricultural sectors. Quite rightly, much of the recent attention has focused on the greenfields portions of the N2 Wild Coast Road – especially the sections between Ndawalane and the Ntafufu River and between Lusikisiki and the Mtamvuna River on the KwaZulu-Natal border. From a logistical and engineering perspectives, this project does indeed warrant attention and praise. It comprises a stretch of approximately 96km of modern new road, which include nine major bridges. Contracts for the mega-bridges across the Msikaba and Mtentu gorges were awarded in the past 12 months. These are some of the most pioneering bridge construction projects ever undertaken in Africa and will stand as living monuments to the ingenuity of the local engineering and construction sectors and the project design and management skills of SANRAL. When one lookS at the bigger picture of regional development and job-generating economic activity it is quite clear that the N2 Wild Coast Road is already helping to change the prospects of a province that has struggled to attract new investment, for a variety of reasons. This reinforces the point made by President Ramaphosa at the recent investment summit that infrastructure expansion and maintenance have the potential to create jobs, attract investment and lay the foundation for sustainable economic expansion. The quality of a country’s primary road network is an important factor for local and international investors when they take decisions on where to establish projects that lead to returns on investment and, in the process, stimulate broader growth and development. In recent months, two major vehicle manufacturers announced multi-billion-rand investments in production facilities in the Eastern Cape. Mercedes Benz will inject R10bn in capital in what has been described by President Ramaphosa as “a sustainable investment in the future of the region.” Similarly, Chinese automaker, BAIC, will complete the construction of its vehicle assembly plant in Port Elizabeth through an R11bn investment. There are, obviously, many factors that contributed to the decisions by the global manufacturers to invest in an area that has a traditional focus on the automotive industry. But it is quite obvious that these investment decisions have been influenced by the knowledge that their manufacturing activities will be underpinned by a world-class road that gives them access to markets and suppliers in South Africa’s interior. Quite clearly, these developments demonstrate the broader economic value that an improved N2 Wild Coast Road brings to the region, in addition to improved and safer access to destinations. Road construction projects are known for their ability to create jobs, improve skills levels and stimulate wider economic activities. In the past 12 months SANRAL published a comprehensive transformation strategy following an extensive process of consultation with stakeholders, industry, academics and communities in all nine provinces. The core objective is to transform the engineering and construction sectors through the tendering processes. From SANRAL’s perspective we want to grow the share of work packages given to black-owned enterprises and companies owned by women and the youth. These provisions are already in place on the N2 Wild Coast project, and major contractors are required to demonstrate how they partner with smaller enterprises for parts of the construction work, maintenance and rehabilitation, training, and integration into their supply chains. Local suppliers will be first in line to provide goods and services to the project and the training and skills-development programmes associated with the construction will enable more local entrepreneurs to become fully-fledged contractors. Through the allocation of important contracts and well-structured skills development programmes, we can grow a new generation of contractors who will gain from their experience on the N2 project and spread their wings into other areas of construction. 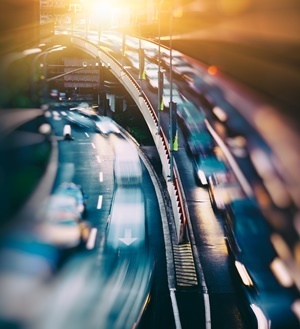 Moreover, the existence of a major freeway such as the N2 in a region has a ripple effect on the provision or upgrading of other transport infrastructure. In the last financial year SANRAL completed road infrastructure and maintenance projects to the value of R520.9m in the Eastern Cape, and upgrades or maintains more than 4 963km of roads. Communities across the province – from Ntlaza to Queenstown and from Matatiele to the Baviaans River – now have access to safer and more convenient infrastructure, access roads and pedestrian walkways because of construction activities initiated by SANRAL. The value that better road infrastructure brings to broader economic development is well understood by both provincial and local governments as well as the communities that benefit from such activities. Plans announced by the Eastern Cape government provide for the imminent development of the Wild Coast special economic zone in Mthatha. This includes the construction of a new international hotel and tourism facility, small manufacturing and agri-processing facilities, a logistics hub and the extension of the Mthatha airport. None of these developments would have been feasible without access to the quality transport network provided by the N2 Wild Coast road. It should, therefore, be quite clear for all but the most churlish critic that investment in infrastructure is, indeed "a bridge to the future". South Africa would be foolish not to follow the example set by the world’s most successful economies on all the continents. Such initiatives must be well-structured and well-managed. SANRAL’s track record in the delivery of major infrastructure in the past and our ability to work with private sector partners in the construction and engineering sectors demonstrate our ability to achieve this. Vusi Mona is the spokesperson for SANRAL.